As a camera became digitalized, people started to have a desire to enjoy the picture, which was just taken, on a big display. People who have had an experience of designing a digital camera with a small display screen have often thought what if many people can enjoy watching the pictures which were just taken. When the memory capacity increased and the possibility of an album feature was seen, the expectation of projector function rise up and goes to the next step. There was a same proposal for mobile phone and portable music player ,but for consumer digital cameras, the COOLPIX S1000pj was the first to have such a function. One of the characteristic of Japanese product design is multi functionality. In the beginning of electric industrialization, the radio was combined with clock. This thought was taken over by mobile phone, which keep developing every second, and became so multi functional that the original phone function has faded away. The development of cameras is also driven by multiple functions. The features of automatic exposure, zooming and the flash were once done by external products, but are now integrated into the camera. And finally the camera carries a projector function to display the picture which was just taken. A series of action to enjoy pictures has been completed with one camera. 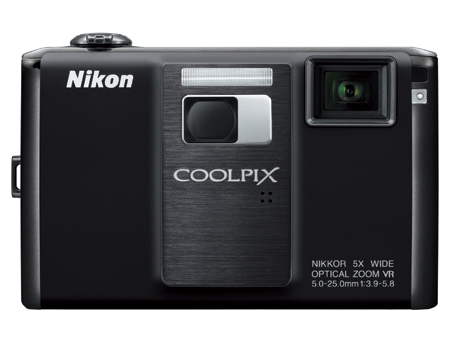 It is inevitable that more functions will be added in future, but the COOLPIX S1000pj which proposed a fun way to share pictures instantly, will be seen as a monument of a new era with its contribution.